Meet Abigail, a Labrador Retriever/Boxer cross. Abi was adopted from a shelter in Maine at the age of five months after being found as a stray. After fattening up at her new home on the farm, she moved to Oregon four years ago and became an AltaRock field dog in June, 2012. What does Abi do at work? Abi’s main field tasks include keeping Kyla company and making sure no one finishes their lunch (or bananas!) unassisted. She enjoys rolling in the dirt, napping in the sun and playing tug-of-war with her canine sidekick, Yoda, although she thinks he barks just a little too much sometimes. 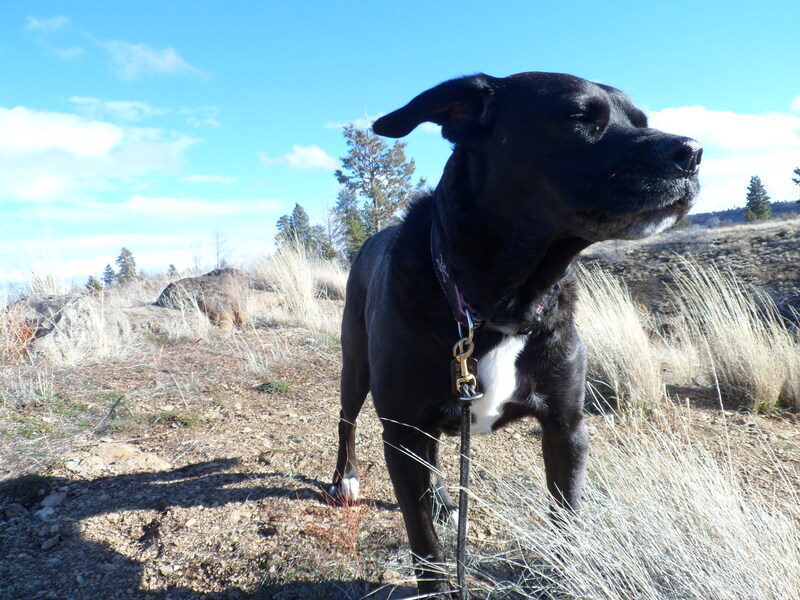 Now that field season has come to a close, Abi can often be found at our office in Bend, watching for the mailman and greeting visitors with a wag of her tail and a lick on the face if she can get away with it.